Are you worried that your true entrepreneurial talents are wasting away? Discover a system for growing your passions into a blooming business. Are you struggling to find your calling? Have you tried (and failed) to follow industry advice by focusing your energy on just one trade? Successful entrepreneur coach Juanita Jones can relate. After wasting time and money pursuing other people’s idea of a successful business, she wised up and built her company around her passions. In her new book, The Multi-Passionate Entrepreneur’s Playbook, serial entrepreneur and business coach Juanita Jones, demonstrates how to capitalize on your unique brand of creativity. She leads you from an uncertain path to a confident vision for your customized company. With seven simple steps, she shows you how to finally learn the way to achieve success on your terms. How to develop a systematic sales funnel to foster repeat customers, and much, much more! Juanita’s empowering resource is a step-by-step guide for entrepreneurs who refuse to be confined to a single box. If you like actionable strategies, down-to-earth advice, and an expert who has shared and overcome the same struggles, then you’ll love Juanita Jones’ fresh new take on building your entrepreneurial life. Multi-passionate... Multi-talented... Brilliant…Tired of being told to choose one thing? But I get it. It’s hard to stay motivated in confusion. All of the specialized focus on tactics and tricks for this piece or that piece, that just leaves your head scrambled… I know EXACTLY how you feel. I lived it every day. In order to help other entrepreneurs on this journey, I’ve created a 7 Simple Step Framework as the roadmap out of the confusion and decided to share it with you. My new book is your master puzzle map for putting all of the pieces together to finally see the big picture of your dream business(es). This book will help you put one foot in front of the other and get to where you’re destined to be. I wrote this book to help other entrepreneurs to create the online businesses of their dreams, help more people and make more money to support their families. Juanita Jones is a serial entrepreneur and author of the Amazon #1 best seller book, The Multi-Passionate Entrepreneur's Guide. 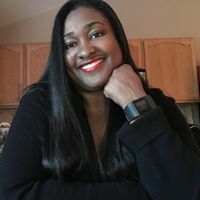 She is a 20+ year veteran project management consultant, took her local consulting business online last year, and the experience awakened a serial online entrepreneur. Using entrepreneurship as the vehicle, Juanita wants to inspire people to do what they love and use their life to serve others with the greatest impact possible. She lives and works in her native hometown of Detroit, Michigan and is also the founder of Detroit Living Rocks, LLC, a real estate development company with a mission to create equitable social and economic impact in Detroit neighborhoods. Her corporate objective is to expand the real estate knowledge base of Detroit residents and investors and to be a catalyst for neighborhood redevelopment that is created from within and in principle by the existing neighbors. A graduate of the University of Michigan with a Masters in Social Work/Community Planning, Juanita's an expert in the urban redevelopment industry; holding state licenses as a Real Estate Broker, Certified Lead Supervisor, and Residential Builder. She also maintains credentials from the Project Management Institute as a Certified Project Management Professional (PMP), National Development Council, Certified Housing Finance Development Professional (HFDP), and the United States Green Building Council (LEED AP). Juanita formerly served as the Managing Director for the Detroit Land Bank Authority from 2011-2014. While there she designed, developed and implemented a $22million acquisition rehab and sales program in Historic Boston-Edison and East English Village, and large-scale acquisition of single family units for land banking across 9 neighborhoods in Detroit. In 2013, her work earned the Michigan Governor’s award for Historic Preservation on behalf of the land bank project. In 2016 Juanita was elected to serve on the Michigan Historic Preservation Network Board of directors. A Detroit native, she currently lives in the city of Detroit, enjoying life and laughter with family and friends.